Quirky architectural features, roaring log fires, beautiful original floors and cottage gardens – all are all part of the old house dream. But maintaining or renovating a period home can be expensive and time consuming – a real labour of love. Despite the fact that around a fifth of UK homes were built before 1919, the supply of period houses is finite so they often command premium prices and fierce competition when they come to market. When you buy an old house, you’re buying a slice of history, hopefully packed with original features and character. This guide covers everything you need to know about buying an old house. Find more on buying a house or flat in our beginner's guide, and don't miss our comprehensive feature on how to renovate an old house so you can be sure you're making an informed decision. Should I buy an old house? It’s easy to be seduced by the cottage with roses round the front door, the cosy end terrace or the crumbling farmhouse. First impressions are important but so are the practicalities of owning an old house and your ability to live with it. If you truly love an old building you’ll be ready to take on the challenges and costs of maintenance and be prepared to live with the idiosyncrasies that make it special. This is not to say that you can’t make changes; alterations and additions are part of a building’s history. But you have to be prepared to live with potentially crooked doors, wonky walls and the occasional damp spot. These things go with the territory. Also bear in mind that period homes come in many forms. Caring for a medieval timber framed house is a different proposition to living in an Edwardian villa. You can find out how old your potential property is in our guide. Layouts in new and old houses vary. Older homes tend to have smaller rooms than new ones, which often have open-plan layouts (use our guide to find out how to go open plan in an old house). Conversely, old houses often have the potential to create more storage space. New houses are easier to maintain, and modern standards of draught-proofing and insulation mean energy bills will be lower. With an old house, energy-saving measures will have to be retrofitted and they’re unlikely to achieve the levels of efficiency found in a new home. Think about long-term needs. ‘Don’t buy a cottage if you need a castle’ might sound like an obvious adage, but trying to significantly enlarge an old house risks destroying its character. Buying a property with outbuildings that can be converted may be a more sympathetic option. Don't look at a beautiful period home with rose-tinted glasses – can you live with its imperfections, maintenance costs and long-term limitations? If you’re lucky, originality will be embraced within every facet of the building’s fabric, including such things as lime plastered walls and ceilings, ‘wobbly’ glass in the windows, antique fireplaces, decorative mouldings, and elevations of handmade brick or weathered stone. The best old houses are rich in craftsmanship and detail, overlaid with textural variations and a surface patina associated with the process of ageing and use. Hopefully, if damage has occurred, honest repairs will have been made that retain the authenticity of the original, with the minimum amount of intervention. Originality is sometimes degraded where new materials or building elements have been introduced that detract from the character, performance and value of the house. Restoration might have been undertaken where there has been an attempt to return the building to a perfect state, with the resulting loss of original fabric. Authentically recreating period features can be costly. Damp ranks as the number one problem with old buildings, potentially leading to decay, rot and beetle infestation. If left unchecked, damp has disastrous and expensive consequences so assess the extent of the problem and identify the cause. Structural issues are an important consideration as solutions are often costly. Problems may be indicated by cracks and bulges to the walls, sloping floors and irregular roof lines. Often these problems are related to decay but may be caused by settlement of the building over time, subsidence or heave and inadequately sized timber joists, rafters and lintels. Understanding the structure of the building is vital. Some properties that appear to be brick are, in fact, timber frame (use our guide to find out about maintaining timber frames in old houses), while render coatings may cover a whole variety of unexpected materials. Never assume that, because one part of a wall is of a certain material, the whole house is the same: often a wide variety of materials are found in one building. Internally layers of plasterboard or dry-lining may be hiding all manner of problems. Equally, be wary of past repairs or alterations, as poorly executed building work often holds unpleasant surprises. Quick fixes and the use of cement mortars, renders and plasters can all lead to problems in the future. Some aspects of an old house will inevitably need to be modernised, especially the kitchen and bathrooms. Today’s kitchen is the hub of the home so you may want to relocate it, possibly into an extension. The most successful extensions to old buildings reflect today’s style, employ good quality materials and are carefully proportioned. Think about how the extension and existing spaces will integrate, and how light and ventilation can be introduced to the existing rooms as well as the new addition. Extra or en suite bathrooms are desirable, although they often come at the cost of losing a bedroom, which may affect the resale value of the house. A loft conversion is one way of overcoming this problem; the potential downside is the loss of further space to accommodate the staircase. When contemplating changing the layout of a house, bear in mind that some buildings are better able to accommodate change than others. Knocking small rooms together to create one big one can destroy the essence of an old house. Removing fireplaces and chimney breasts may gain space but at the price of the room’s proportions. If you’re considering buying an old building with large internal volumes, such as a church or barn, be aware that they’re often hard to divide into living spaces and windows may be difficult to include. Engage a renovation team – architect, structural engineer, builder – that is sympathetic to old buildings with conservation needs. Old buildings often have surprises so be prepared for the problems as well as the possibilities. A full building survey by a chartered building surveyor is usually essential, and drainage and chimney surveys are often beneficial. Where problems are evident, a structural engineer is often called upon to make an assessment and design solutions. If significant work is being contemplated, consult an architect to establish what is possible. Where major work, such as re-roofing, is envisaged get quotes beforehand. Before putting in an offer, try to get some idea of renovation costs. Ask a builder or your surveyor to provide estimates – you may be able to use the figures when negotiating the final price. Too many people take a rose-tinted view when buying an old house that requires work. Old building projects can be extremely stressful and put a strain on the best of relationships, so carefully review the task ahead, your budget and timescale before you proceed. Don’t be afraid to walk away if you have any doubts. Before you start any building or renovation, make sure you have a working budget and sufficient funds in place to complete the work. Add a 20 per cent contingency figure for unforeseen problems, and double your contingency amount for large, very old or neglected properties. Work done by previous owners, who have used inappropriate materials and techniques, can result in costly damp and structural problems. It’s also vital to ascertain that any listed building and other consents have been obtained for work done, otherwise you may be liable to put things right. Have previous repairs been carried out sympathetically and using appropriate materials? While it’s wonderful to dream about the luxury of designing new kitchen for an old home, being sensible about prioritising the work you plan to do is essential. The structure and fabric of the building must come first and it is vital to ensure the house is wind and watertight as soon as possible, even if repairs are only temporary. Try to establish the budget that is likely to be necessary to fulfil your plans before agreeing a final mortgage offer so you can decide what may be achievable. If necessary, phase the work but be sure to have a long-term master plan from the outset to avoid doing things that may have to be undone later. If you can, live with the building for a few seasons to understand it before making big changes. Do I need permission to make changes? Consider regulations that may apply, especially if the house is listed or in a conservation area. Listing provides extra legal protection for buildings within the planning system and generally covers the whole building, including the interior, and may also include structures on attached land or ‘curtilage’. 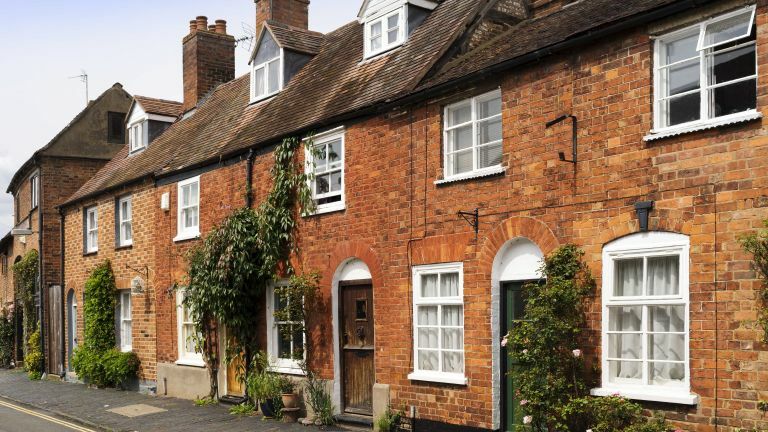 Most owners are pleased that their house is listed (find out more about listed buildings in our guide), and it can add to its value, but you need to be aware of the implications. Owners must apply for listed building consent for most types of work that affect the ‘special architectural or historic interest’ of their home. Speak to the conservation officer to find out what might and might not be allowed. Should disaster strike, the cost of rebuilding a listed building is likely to be higher than for other properties, so it’s important to seek the advice of a specialist insurance broker. Conservation Areas are designated because of their special architectural or historic interest and, within them, certain additional planning controls apply. With all houses you may need planning permission or building regulations approval for certain work. Before proceeding, check what rules apply with your local planning authority. Also check the legal title documents of the house to see if any restrictions or covenants affect it. It’s not unusual to find historic restrictions about the use of the property, or additional buildings. If you plan to undertake works, or use the house in a way that it has not been used before – such as a bed and breakfast – scrutiny of these obligations is essential. Don’t forget to think about the site when buying. An old house is likely to be on a bigger plot than a new one, but outside spaces may not be so useful. Lack of car parking is a frequent problem and you may be forced to park on the road. Not all front gardens are large enough to accommodate a car and, even where there is space, rules apply if you want to pave over it. Permission will also be needed from the local council to drop the kerb. Find out more about planning and designing a driveway in our guide. It is important to do your research and find out about the history of the building and the materials and techniques used to build it. You can seek advice from expert companies who will research the history and heritage, or conservation of a building, such as House Detectives. Neighbours, local people, libraries and history centres may all be helpful, or you could employ a company to research the history of your house for you. Websites provide a huge knowledge base but it’s important to cross check information. Is the building listed or in a Conservation Area? Is there evidence of unauthorised alterations or additions? Are there abundant original features? Or are there poor replicas that could damage the value of the property? Is there a garage or off-street parking? Are extensions or additions well designed? Is there mains gas or is energy from oil or LPG? Is there mains water and drainage? Are there outbuildings? If so, do they have water and electricity? Are there garden walls, railings, fences or hedges? If so, who is responsible for them? Have traditional building techniques and materials been used for any previous repairs? What records have been kept of repairs and maintenance? Is there evidence that maintenance has been neglected? Have solar panels or other energy generation systems been installed? Has there ever been subsidence or heave? Is there a history of the house being flooded? Have the present owners had problems getting buildings insurance? Are bats or birds present within the structure? Are there any trees that might be protected or with roots that might cause problems? Are there signs of asbestos? For example, insulation on pipes or sheet roofing materials. Do overhead power or telephone lines cross the property? Has the roof recently been repaired or the covering replaced? Are roof tiles or slates missing? Is the house thatched? If so when was it last re-thatched? Are there flat roofs? If so, is there evidence of any damage or pooling water? Does the guttering and other rainwater goods look ok? It’s always worth visiting at least once when it’s raining to check for potential problems. Is there any plant growth on walls? If the house has cavity walls, check iron ties (used to tie the two leaves of masonry together) for signs of corroding, which can lead to problems. When was the last time the house was redecorated externally? Were appropriate paints used on previous decorations? Have hard cement renders and pointing been used that may be trapping moisture? Is there any eroded brick or stonework, defective pointing and damaged render? This may indicate trouble ahead. Are there any inappropriate windows or doors? Is rot evident in timber work? Try gently prodding with a key or blunt screwdriver. Have quick fixes been used such as spray foams and mastics? Are there obvious cracks, bulging walls, or crooked windows or doors? These may be due to historic settlement or – more of a cause for concern – decay within the structure or subsidence. Is there good access for skips, builders’ trucks and material deliveries? Is the roof in good repair, or are there missing tiles or slates? Are there signs of damp? This may be indicated by damp patches, mould or a musty smell. Look behind curtains, under carpets and inside cupboards. Has plasterboard been used to line the walls? It may be covering up problems. Do the floors feel bouncy, or are they sloping? Or are the stairs rickety? This may indicate structural issues. Is there central heating and what fuel does it use? When was the heating system installed and the boiler renewed? Are there fireplaces and, if so, are they usable? Is there cracking, especially around window and door openings? This may indicate structural problems. Is the loft well insulated? Do the windows have secondary or double glazing? Are there other energy-efficiency measures? Has the house been replumbed? Is there lead pipework? All lead pipes should be replaced. Do the windows and doors open and close easily? Broken sash cords can indicate a lack of maintenance. Is there any sign of decay to the timber? Make it wind and watertight, even if this is only on a temporary basis. Ensure the roof is not leaking and that rainwater goods are in good working order. Check the safety of electrical circuits and heating systems, and for leaks. Ensure the building is secure. Protect features such as fireplaces, staircases and floors with temporary boarding. Concentrate on external issues: roof and chimney work; repair brick, stone and timber-frame walls. Overhaul and draught-proof windows, doors and lofts. Install new plumbing and electrics. Carry out necessary decorating work.